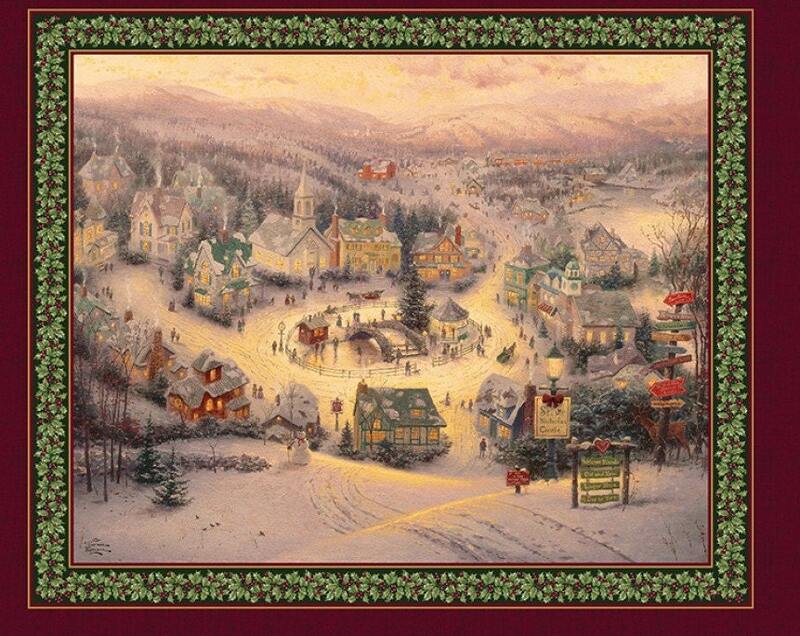 The Spirit of Christmas holiday panel is exactly that, The Spirit of Christmas so beautifully depicted in this rich and warming winter/holiday scene created by Thomas Kincade and brought to life by Benartex. Rich and warm colors of deep wine, gold, green, red cream. 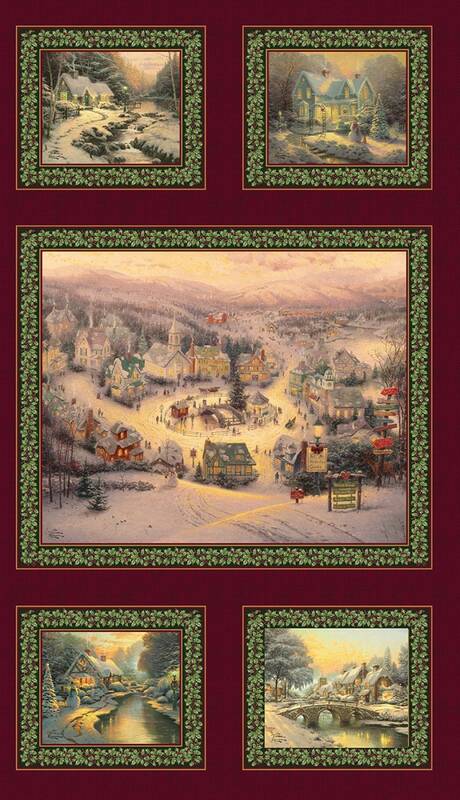 You can smell and feel the Christmas spirit filling the houses and village in this wonder Christmas panel. All fabric from The Quilted Nursery Fabric Store is cut directly from the bolt in continuous yardage. We now offer fractional yardage cuts for your quilting, sewing and crafting needs. Same day shipping except for Sunday and holidays. All shipping overages will be refunded on shipment of fabric.